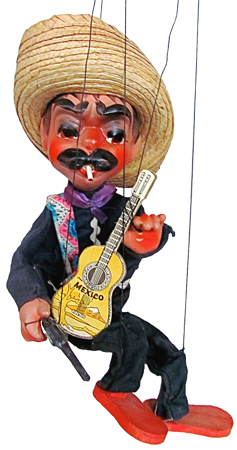 Mexican wood carvings are widely appreciated around the world. Wooden sculptures, masks, toys and musical instruments are carved taking advantage of the great variety of hard and light woods available in the country. 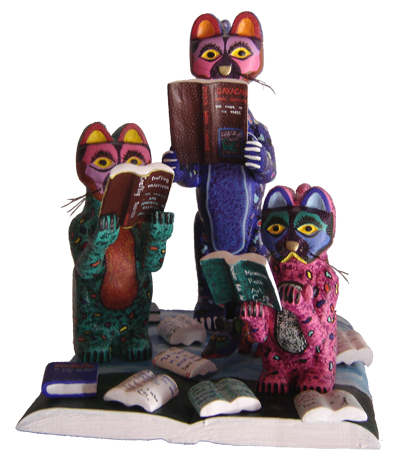 Among the best known styles are the Oaxacan wood carvings also known as alebrijes; these whimsical creatures have gone beyond borders and are today one of the most popular and valued styles in Mexican folk art. 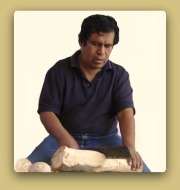 Wood carving dates back from pre-Hispanic times. 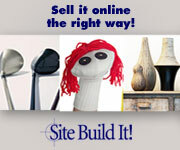 Mesoamerican civilizations used wood to carve religious totems, masks, musical instruments and furniture. Most of these pieces were destroyed by the Spaniards as an effort to erase the native religions. Among the wood carvings preserved there are some musical instruments ornated with intricate carvings. During the Spanish colony native wood carvers made wooden angels, saints, crosses and altars. Other use given to wood during the colonial times was mask making. Masks were used in dances and representations of Christian stories which helped the priests to convert the native people. After the Independence War, wood carvings were made mostly for utilitarian uses such as furniture, plates, boxes, trays, toys and musical instruments. In the second half of the 20th Century Mexico opened to foreign tourism which greatly impacted the craft making in the country. 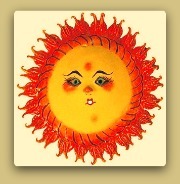 Art collectors sponsored talented crafters and helped them develop new styles, especially wood carving styles. In the late 1950's Manuel Jimenez, a peasant from San Antonio Arrazola, created a new style in Mexican Folk Art, Oaxacan wood carvings. 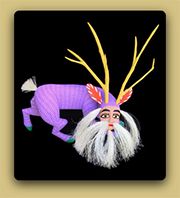 Crafters Isidoro Cruz from San Martin Tilcajete and Martin Santiago from La Union Tejalapan had a share in the process of making these whimsical creatures one of the best selling items in national folk art. 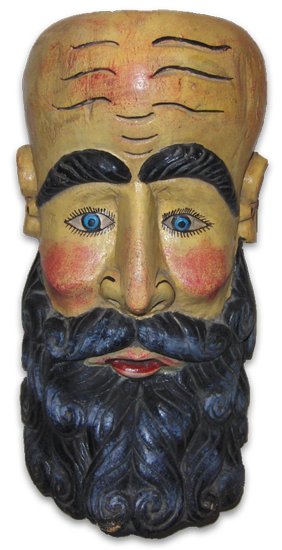 With the arrival of foreign tourism to Acapulco in the 1950's the ceremonial wooden masks transitioned into masks made for sale. Most of those "commercial masks" although not authentic representations of the ritual masks do show the creativity, imagination and culture of the mask makers. 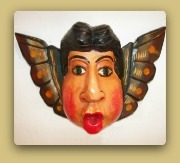 Most masks are wooden but some are made of papier mache, clay, leather and Cocunut shells. 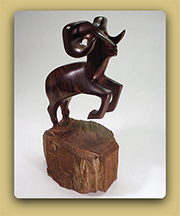 In the 1960's Jose Astorga who belonged to the Seris ethnic group began hand carving ironwood sculptures. The pieces were sold at Bahia de Kino in Sonora and were so successful that soon more than half of the Seris were ironwood carving. From the 1970's non- Seri crafters began imitating the Seris sculptures using electrical tools to make them and in some cases fraudulently claim the carvings are made by the Seris. 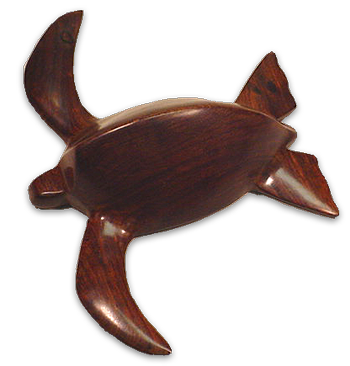 Traditional wooden toys such as puppets, trompos or whipping tops, musical instruments for children, Christmas ornaments and kitchen utensils are made in Michoacan with avocado tree wood.